The ODSC Talks/Workshop schedule includes Friday November 2nd and Saturday November 3rd. It is available to Silver, Gold, Platinum, Business 4-day, VIP and Business Investor Pass holders. The Training/Workshop schedule includes Wednesday October 31st, and Thursday November 1st. It is available to Training, Gold ( Thurs Nov 1st only), Platinum, VIP and Business Investor pass holders. The Accelerate AI schedule is for Wednesday October 31st, and Thursday November 1st. It is available to Business 2-day, Business 4-day, Platinum, VIP and Business Investor pass holders. *Speaker and speaker schedule times are subject to change. More sessions added weekly. Python has become a great language for data science. Libraries like NumPy, pandas, and Scikit-Learn provide high-performance, pleasant APIs for analyzing data. However, they’re focused on single-core, in-memory analytics, and so don’t scale out to very large datasets or clusters of machines. That’s where Dask comes in. Moving to a cloud-native data science workflow will make you and your team more productive. You’ll be able to more quickly iterate on the data collection, visualization, modeling, testing, and deployment cycle. Attendees will learn the high-level user-interfaces dask provides like dask.array and dask.dataframe. These let you write regular Python, NumPy, or Pandas code that is then executed in parallel on datasets that may be larger than memory. We’ll learn through hands-on exercises. Each attendee will be provided with their own Dask cluster to develop and run their solutions. Dask is a flexible parallelization framework; we’ll demonstrate that flexibility with some machine-learning workloads. We’ll use Dask to easily distribute a large scikit-learn grid search to run a cluster of machines. We’ll use Dask-ML to work with larger-than-memory datasets. Data Scientist	| Anaconda, Inc. Text analytics or text mining is an important branch of analytics that allows machines to break down text data. As a data scientist, I often use text-specific techniques to interpret data that I’m working with for my analysis. During this workshop, I plan to walk through an end-to-end project covering text pre-processing techniques, machine learning techniques and Python libraries for text analysis. We will walk through an example in Jupyter Notebook that goes through all of the steps of a text analysis project, using several text analysis libraries in Python including NLTK, TextBlob and gensim along with the standard machine learning libraries including pandas and scikit-learn. More details. Alice Zhao is currently a Senior Data Scientist at Metis, where she teaches 12-week data science bootcamps. Previously, she worked at Cars.com, where she started as the company’s first data scientist, supporting multiple functions from Marketing to Technology. During that time, she also co-founded a data science education startup, Best Fit Analytics Workshop, teaching weekend courses to professionals at 1871 in Chicago. Prior to becoming a data scientist, she worked at Redfin as an analyst and at Accenture as a consultant. She has her M.S. in Analytics and B.S. in Electrical Engineering, both from Northwestern University. She blogs about analytics and pop culture on A Dash of Data. Her blog post, “How Text Messages Change From Dating to Marriage” made it onto the front page of Reddit, gaining over half a million views in the first week. She is passionate about teaching and mentoring, and loves using data to tell fun and compelling stories. Machine learning has become an indispensable tool across many areas of research and commercial applications. From text-to-speech for your phone to detect the Higgs boson, machine learning excels at extracting knowledge from large amounts of data. This training session will give a general introduction to machine learning, as well as introduce practical tools for you to apply machine learning in your research. We will focus on one particularly important subfield of machine learning, supervised learning. The goal of supervised learning is to “”learn”” a function that maps inputs x to an output y, by using a collection of training data consisting of input-output pairs. We will walk through formalizing a problem as a supervised machine learning problem, creating the necessary training data and applying and evaluating a machine learning algorithm. The session should give you all the necessary background to start using machine learning yourself. More details. This tutorial is for Pythonistas who want to understand relationship problems – as in, data problems that involve relationships between entities. Participants should already have a grasp of for loops and basic Python data structures (lists, tuples, and dictionaries). By the end of the tutorial, participants will have learned how to use the NetworkX package in the Jupyter environment and will become comfortable in visualizing large networks using Circos plots. Other plots will be introduced as well. Eric is an Investigator at the Novartis Institutes for Biomedical Research, where he solves biological problems using machine learning. 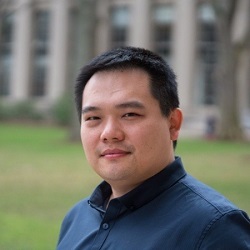 He obtained his Doctor of Science (ScD) from the Department of Biological Engineering, MIT, and was an Insight Health Data Fellow in the summer of 2017. 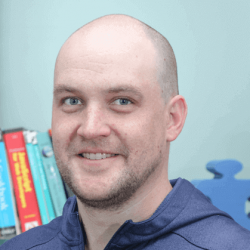 He has taught Network Analysis at a variety of data science venues, including PyCon USA, SciPy, PyData and ODSC, and has also co-developed the Python Network Analysis curriculum on DataCamp. As an open source contributor, he has made contributions to PyMC3, matplotlib and bokeh. He has also led the development of the graph visualization package nxviz, and a data cleaning package pyjanitor (a Python port of the R package). Abstract coming soon. More details. Andrew Long is a Data Scientist at Fresenius Medical Care North America (FMCNA). Andrew holds a PhD in biomedical engineering from Johns Hopkins University and a Master’s degree in mechanical engineering from Northwestern University. Andrew joined FMCNA last year after participating in the Insight Health Data Fellows Program. At FMCNA, he is responsible for building predictive models using machine learning to improve the quality of life of every patient who receives dialysis from FMCNA. He is currently creating a model to predict which patients are at the highest risk of imminent hospitalization. This session will cover, at a layman’s level, some of the basic concepts of data science. In a conversational format, we will discuss: What are the differences between Big Data and Data Science – and why aren’t they the same thing? What distinguishes descriptive, predictive, and prescriptive analytics? What purpose do predictive models serve in a practical context? What kinds of models are there and what do they tell us? What is the difference between supervised and unsupervised learning? What are some common pitfalls that turn good ideas into bad science? During this session, attendees will learn the difference between k-nearest neighbor and k-means clustering, understand the reasons why we do normalize and don’t overfit, and grasp the meaning of No Free Lunch. We’ll start with the basics of machine learning on Apache Spark: when to use it, how it works, and how it compares to all of your other favorite data science tooling. You’ll learn to use Spark (with Python) for statistics, modeling, inference, and model tuning. But you’ll also get a peek behind the APIs: see why the pieces are arranged as they are and leverage the open source ecosystem, third-party libraries, and solutions to common challenges. This training session will be conducted on Google Cloud Platform (GCP) and will use GCP to run TensorFlow. All you need is a laptop with a modern browser. In the session, you will walk through the process of building a complete machine learning pipeline covering ingest, exploration, training, evaluation, deployment, and prediction: Data pipelines and data processing: You will learn how to explore and split large data sets – for this part of the session you will be using SQL and Pandas on BigQuery and Cloud Datalab. Model Inference and Deployment: The trained model will be deployed as a REST microservice and predictions invoked from a web application…. 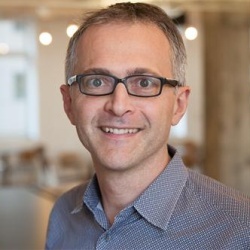 “Jared Lander is the Chief Data Scientist of Lander Analytics a data science consultancy based in New York City, the Organizer of the New York Open Statistical Programming Meetup and the New York R Conference and an Adjunct Professor of Statistics at Columbia University. With a masters from Columbia University in statistics and a bachelors from Muhlenberg College in mathematics, he has experience in both academic research and industry. His work for both large and small organizations ranges from music and fund raising to finance and humanitarian relief efforts. Researchers require a DL framework to quickly prototype and transform their ideas into models and Engineers need a framework that allows them to efficiently deploy these models to production without losing performance. We will show how to use Gluon APIs in Apache MXNet to quickly prototype models and also deploy them without losing performance in production using MXNet Model Server (MMS).In this workshop, you will learn applying Convolutional Neural Network (CNN), a class of DL techniques, in Computer Vision (CV) and applying Recurrent Neural Network (RNN) DL techniques for solving Natural Language Processing (NLP) tasks using Apache MXNet – the two fields in which Deep Learning has achieved state of the Art results. Whether in R, MATLAB, Stata, or python, modern data analysis, for many researchers, requires some kind of programming. The preponderance of tools and specialized languages for data analysis suggests that general-purpose programming languages like C and Java do not readily address the needs of data scientists; something more is needed. In this workshop, we assume no prior exposure to Julia, and will show you why Julia is a fantastic language for machine learning. All workshop materials will be provided on juliabox.com so that attendees can operate in a common environment and code along with the instructor. The first part of the workshop will cover language basics and first-hand how quickly Julia code runs compared to C and Python In the last 45 minutes, we will cover special tools for data science and machine learning, where you will see how easy it is to recognize letters in your own handwriting using Flux…more details. Jane Herriman is Director of Diversity and Outreach at Julia Computing and a PhD student at Caltech. She is a Julia, dance, and strength training enthusiast and is excited for the opportunity to teach you Julia. Modern statistics has become almost synonymous with machine learning, a collection of techniques that utilize today’s incredible computing power. This two-part course focuses on the available methods for implementing machine learning algorithms in R, and will examine some of the underlying theory behind the curtain. We start with the foundation of it all, the linear model and its generalization, the glm. We look how to assess model quality with traditional measures and cross-validation and visualize models with coefficient plots. Next, we turn to penalized regression with the Elastic Net. After that, we turn to Boosted Decision Trees utilizing xgboost. Attendees should have a good understanding of linear models and classification and should have R and RStudio installed, along with the `glmnet`, `xgboost`, `boot`, `ggplot2`, `UsingR` and `coefplot` packages. What’s the relationship between human and computer-recorded numbers? When we talk about data, data is not just numbers, behind every single number is human behavior. In my talk, I am trying to answer the following questions: How can data visualization design help us see the unseen faces of culture? How can we use open data to explore the differences between design and art colleges around the world? And how can we use data visualization to unlock the secrets of winning art awards? I will cover all the process of collecting data to process data. More details. Ying He currently works for TCG (The Creative Group) and was previously at Pershing of BNY Mellon and The Metropolitan Museum of Art. She holds a master degree from ITP, Tisch School of the Arts. Her research interests include visual representation, creative design and cultural hacking such as artistic data visualization, mapping, and interactive experience. She is fascinated to synthesize graphic design and technology as a telescope into unseen reality. Anish Das Sarma is an Engineering Manager at Airbnb, leading Airbnb’s identity, account integrity, compliance, and offline risk teams. Prior to joining Airbnb, Anish was the Founder and Chief Technology Officer of Trooly, a company that was acquired by Airbnb. At Trooly, Anish built the founding team, set the vision and strategy of Trooly, raised $10M in funding, and grew and managed the technology team of 20 machine-learning engineers and data scientists. Prior to starting Trooly, Anish worked at Google and Yahoo’s research labs respectively. Anish did his Ph.D. and M.S. in Computer Science from Stanford University, focusing on data and machine learning. Anish also holds a B.Tech. in Computer Science from IIT Bombay. Anish is a recipient of the Microsoft Graduate Fellowship, a Stanford University School of Engineering fellowship, and the IIT-Bombay Dr. Shankar Dayal Sharma Gold Medal. 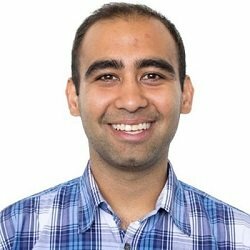 Anish has written over 40 technical papers, one book, filed over 10 patents, was associate editor of Sigmod Record, has served on the thesis committee of a Stanford PhD student, and has served on numerous program committees. Two SIGMOD and one VLDB paper co-authored by Anish were selected among the best papers of the conference, with invitations to journals. Chris Fregly, Founder @ PipelineAI, will walk you through a real-world, complete end-to-end Pipeline-optimization example. We highlight hyper-parameters – and model pipeline phases – that have never been exposed until now. While most Hyper-parameter Optimizers stop at the training phase (ie. learning rate, tree depth, ec2 instance type, etc), we extend model validation and tuning into a new post-training optimization phase including 8-bit reduced precision weight quantization and neural network layer fusing – among many other framework and hardware-specific optimizations. Next, we introduce hyper-parameters at the prediction phase including request-batch sizing and chipset (CPU v. GPU v. TPU). We’ll continuously learn from all phases of our pipeline – including the prediction phase. And we’ll update our model in real-time using data from a Kafka stream. Lastly, we determine a PipelineAI Efficiency Score of our overall Pipeline including Cost, Accuracy, and Time. We show techniques to maximize this PipelineAI Efficiency Score using our massive PipelineDB along with the Pipeline-wide hyper-parameter tuning techniques mentioned in this talk. More details. Chris Fregly is Founder at PipelineAI, a Real-Time Machine Learning and Artificial Intelligence Startup based in San Francisco. Michael Schmidt is the Chief Scientist at DataRobot and has been featured in the Forbes list of the world’s top 7 data scientists. He has won awards for research in AI, with publications ranking in the 99th percentile of all tracked research. 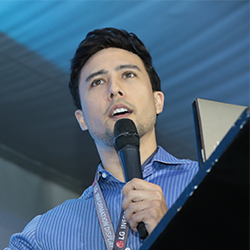 In 2012, Michael founded Nutonian and led the development Eureqa, a machine learning application and service used by over 80,000 users globally (later acquired by DataRobot). In 2015, he was selected by MIT for the most innovative 35-under-35 award. Michael has also appeared in several media outlets such as the New York Times, NPR’s RadioLab, the Science Channel, and Communications of the ACM. Most recently, his work focuses on automated machine learning, feature engineering, and advanced time series prediction. Curt studied computer science at the University of Illinois at Urbana-Champaign and mathematics at the University of Minnesota. After building too many websites and client/server systems, he turned to data mining and statistics and never looked back. A good day is spent building models in R and Stan. Developing an internal data science capability requires a cultural shift, a strategic mapping process thataligns with existing business objectives, a technical infrastructure that can host new processes, and an organizational structure that can alter business practice to create measurable impact on business functions. This workshop will take you through ways to consider the vast opportunities for data science to identify and prioritize what will add the most value to your organization, and then budget and hire into commitments. Learn the most effective ways to establish data science objectives from a business perspective including recruiting, retention, goaling, and improving business. More details. Haftan Eckholdt, PhD. is Chief Data Science Office at Plated. His career began with research professorships in Neuroscience, Neurology, and Psychiatry followed by industrial research appointments at companies like Amazon and AIG. He holds graduate degrees in Biostatistics and Developmental Psychology from Columbia and Cornell Universities. In his spare time he thinks about things like chess and cooking and cross country skiing and jogging and reading. When things get really really busy, he actually plays chess and cooks delicious meals and jogs a lot. Born and raised in Baltimore, Haftan has been a resident of Kings County, New York since the late 1900’s. Linear algebra problems form the heart of many machine learning computations, but the demands on linear algebra from scientific machine learning problems can be different than for internet and social media applications. Since its introduction, Apache Spark has become an integral tool in this field, with attractive features such as ease of use, interoperability with the Hadoop ecosystem, and fault tolerance. However, it has been shown that numerical linear algebra routines implemented using MPI, a tool for parallel programming commonly used in high-performance computing, can outperform the equivalent Spark routines by an order of magnitude or more. We will describe these evaluations. Spark is designed for data analytics on cluster computing platforms with access to local disks and is optimized for data-parallel tasks. We examine three widely-used and important matrix factorizations: NMF (for physical plausibility), PCA (for its ubiquity) and CX (for data interpretability). We apply these methods to terabyte-sized problems in particle physics, climate modeling and bioimaging, as use cases where interpretable analytics is of interest. Finally, we’ll describe Alchemist, a system for interfacing between Spark and existing MPI libraries that is designed to address this performance gap. The libraries can be called from a Spark application with little effort, and we illustrate how the resulting system leads to efficient and scalable performance on large datasets. We describe use cases from scientific data analysis perspective and also describe related work on communication-avoiding machine learning, optimization-based methods…more details. Kai Rothauge is a postdoctoral scholar in RISELab and the Department of Statistics at UC Berkeley. 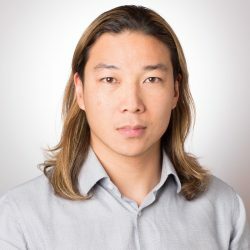 His research interests include machine learning, deep learning, distributed linear algebra, and numerical optimization, and he is currently working on the efficient computation of machine learning algorithms in distributed settings. He obtained his PhD in applied mathematics from the University of British Columbia, where he worked on algorithms related to constrained optimization problems. Learn how to use pandas and python together to quickly and easily analyze large amounts of data. We will teach you how to use pandas to carry out your entire data workflow, from dealing with basic data cleaning and munging, to quickly creating visualizations through simple calls from pandas. We will work with real datasets and show you how to work with various data inputs and types of data, including dates and timestamps. We’ll also discuss more complex operations, such as groupby commands and working with text data….more details. Time series data is ubiquitous: weekly initial unemployment claims, daily term structure of interest rates, tick level stock prices, weekly company sales, just to name a few. Some of the most important and commonly used data science techniques in time series forecasting are those developed in the field of machine learning and statistics. Data scientists should have at least a few basic time series statistical and machine learning modeling techniques in their toolkit. This lecture discusses the formulation Vector Autoregressive (VAR) Models, one of the most important class of multivariate time series statistical models, and neural network-based techniques, which has received a lot of attention in the data science community in the past few years, demonstrates how they are implemented in practice, and compares their advantages and disadvantages used in practice. Real-world applications, demonstrated using python, are used throughout the lecture to illustrate these techniques. While not the focus in this lecture, exploratory time series data analysis using histogram, kernel density plot, time-series plot, scatterplot matrix, plots of autocorrelation (i.e. correlogram), plots of partial autocorrelation, and plots of cross-correlations will also be included in the demo….more details. 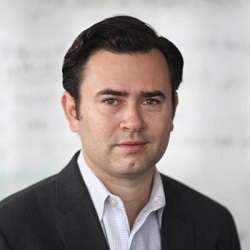 Jeffrey is the Chief Data Scientist at AllianceBernstein, a global investment firm managing over $500 billion. He is responsible for building and leading the data science group, partnering with investment professionals to create investment signals using data science, and collaborating with sales and marketing teams to analyze clients. Graduated with a Ph.D. in economics from the University of Pennsylvania, he has also taught statistics, econometrics, and machine learning courses at UC Berkeley, Cornell, NYU, the University of Pennsylvania, and Virginia Tech. Previously, Jeffrey held advanced analytic positions at Silicon Valley Data Science, Charles Schwab Corporation, KPMG, and Moody’s Analytics. Practicing data scientists typically spend the bulk of their time working developing models for a particular inference or prediction application, likely giving substantially less time to the equally complex problems stemming from system infrastructure. We might trivially think of these two often orthogonal concerns as the modeling problem and the engineering problem. The typical data scientist is trained to solve the former, often in an extremely rigorous manner, but can often wind up developing a series of ad hoc solutions to the latter. Over the past couple of years, PyTorch has been increasing in popularity in the Deep Learning community. What was initially a tool for Deep Learning researchers has been making headway in industry settings. In this traing session, we will cover how to create Deep Neural Networks using the PyTorch framework on a variety of examples. The material will range from beginner – understanding what is going on “”under the hood””, coding the layers of our networks, and implementing backpropagation – to more advanced material on RNNs,CNNs, LSTMs, & GANs. Attendees will leave with a better understanding of the PyTorch framework. In particular, how it differs from Keras and Tensorflow. Furthermore, a link to a clean documented GitHub repo with the solutions of the examples covered will be provided…..more details. As an Ethics for Data Science instructor, I was struck by the disjunction between students’ excellent ability to find ethical gaps in other peoples’ projects and the blind spots they exhibited when critiquing their own work. I developed a two-part 90 minute workshop to reduce the good intention bias. First, we interactively review three well-known cases including the Facebook/Cambridge Analytica case. These lively cases demonstrate how the basic tenets of research ethics can be adapted for data science. Next, teams of 3-5 are led through a 60 minute Predicting College Failure case. This case is drawn from reality. A college has purchased an algorithm to predict which students will leave before graduation and why. We address ethical questions that arise during data collection, data cleaning, model development, intervention design, and FERPA compliance. We also explore questions such as: how accurate does a model have to be before deployment? Is it fair to give students who show signs of financial hardship more aid if it reduces the amount available for students who are not visibly struggling? How do we manage the risk that labeling students high risk for departure may become a self-fulfilling prophecy? How do we weigh the collective impact on the school’s retention capacity against the unique needs of individual students? Teams will produce a strategy for maximizing the social benefit of the intervention and minimizing negative impacts. More details. world of data science, how to close the gaps to get there, and what you need to call yourself an AI Engineer. More details. 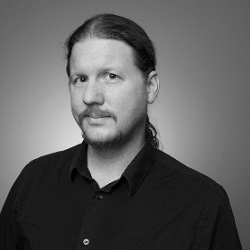 David Smith is a Cloud Developer Advocate for Microsoft, specializing in the topics of artificial intelligence and machine learning. 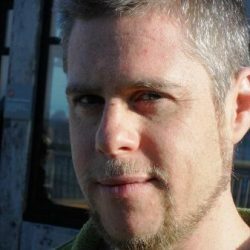 With a background in statistics and data science, he is the editor of the Revolutions blog (http://blog.revolutionanalytics.com) where he has written about applications of data science with a focus on the programming language “R” since 2009. He is also a co-author of the R manual “Introduction to R”, and a member of the board of directors for the R Consortium. He lives with his husband and two Jack Russell terriers in Chicago. Follow David on Twitter as @revodavid. Dr. Randy Olson is the Lead Data Scientist at Life Epigenetics, Inc. (http://lifeegx.com), where he is merging epigenetics research with advanced machine learning methods to improve life expectancy prediction for the life insurance industry. He is a long time proponent of open and reproducible science, and leads by example by openly publishing his work on GitHub (https://github.com/rhiever/) and in open access journals. Randy writes about his latest adventures in data science at http://RandalOlson.com/blog. The next generation of AI applications will continuously interact with the environment and learn from these interactions. To develop these applications, data scientists and engineers will need to seamlessly scale their work from running interactively to production clusters. In this talk we introduce Ray, a high-performance distributed execution engine, and its libraries for data science and AI development. We cover each Ray library in turn, and also show how the Ray API allows these traditionally separate workflows to be composed and run together as one distributed application. More details. Richard Liaw is a PhD student in BAIR/RISELab at UC Berkeley working with Joseph Gonzalez, Ion Stoica, and Ken Goldberg. He has worked on a variety of different areas, ranging from robotics to reinforcement learning to distributed systems. He is currently actively working on Ray, a distributed execution engine for AI applications; RLlib, a scalable reinforcement learning library; and Tune, a distributed framework for model training. Mike serves as Head of Data Science at Uber ATG, UC Berkeley Data Science faculty, and head of Skymind Labs the Machine Learning research lab affiliated with DeepLearning4J. He has led teams of Data Scientists in the bay area as Chief Data Scientist for InterTrust and Takt, Director of Data Sciences for MetaScale/Sears, and CSO for Galvanize where he founded the galvanizeU-UNH accredited Masters of Science in Data Science degree and oversaw the company’s transformation from co-working space to Data Science organization. Model evaluation metrics are typically tied to the predictive learning tasks. There are different metrics for classification (ROC-AUC, confusion matrix), regression (RMSE, R2 score], ranking metrics (precision-recall, F1 score), and so on. Evaluating model decisions might still be easy for linear models but gets difficult in the world of deep neural networks (DNNs). In this workshop, I will share how to enable class-discriminative visualizations for computer vision/NLP problems when using convolutional neural networks (CNN) and approach to help enable transparency of CNN’s by not only capturing metrics during the validation step but also highlighting salient features in the image and text which are driving prediction…. Pramit Choudhary is an applied machine learning research scientist. He focuses on optimizing and applying Machine Learning to solve real-world problems. His research area includes scaling and optimizing machine learning algorithms. Currently, he is exploring better ways to explain a model’s learned decision policies to reduce the chaos in building effective models to close the gap between a prototype and operationalized models. Olaf Menzer is a Data Scientist in the Decision Analytics team at Pacific Life in Newport Beach, California. His focus areas are around enabling business process improvements and the generation of insights through data synthesis, the application of advanced analytics and technology more broadly. He is also a Visiting Researcher at the University of California, Santa Barbara, contributing to primary research articles and statistical applications in Ecosystem Science. With every passing day, deep learning and computer vision are taking the world by storm. But what does this mean for your typical data science team? How do you know if you should be using computer vision in your work, and how do you get started? This talk will provide a guide for data science leaders and managers who are thinking about dipping their toes into computer vision. More details. 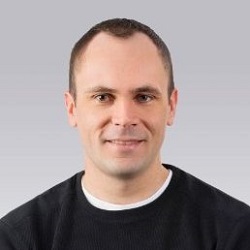 Michelangelo D’Agostino is the senior director of data science at ShopRunner, leading a team that leverages e-commerce data from a network of over 140 retailers to build personalization products for ShopRunner’s 6 million members. 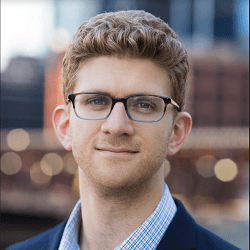 Prior to ShopRunner, he led the data science R&D team at Civis Analytics, a Chicago-based data science consulting and software startup that helps companies and nonprofits better utilize their data. Michelangelo was a senior analyst in digital analytics with the 2012 Obama re-election campaign, where he helped to optimize the campaign’s email fundraising juggernaut and analyzed social media data. He’s also been a mentor with the Data Science for Social Good Fellowship. Michelangelo holds a PhD in particle astrophysics from UC Berkeley and got his start in analytics sifting through neutrino data from the IceCube experiment. He’s also written about science and technology for the Economist. In this talk, we will go over an overview of where traditional search and NLP techniques are today, then we’ll go over some of the recent advances in deep learning for question answering and document understanding, and some of the cutting edge research in those areas that’s happening at Forethought today. Sami Ghoche is a Co-founder in Forethought AI. 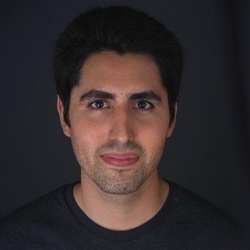 Prior to joining Forethought AI, Sami worked on the Feed AI team at LinkedIn and completed his undergraduate and graduate studies at Harvard, where he wrote his thesis on algorithms to speed up unsupervised learning methods. 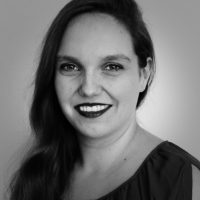 Frances Haugen is the Director of Data Product at Gigster, focusing on developer productivity and machine learning. Frances is a passionate advocate for the training of business decision makers in how to use machine learning effectively to transform their businesses and believes that thinking in the patterns of machine learning will be as integral a skill as Excel for 21st century leaders. Frances has taken data-based user experiences from 0->1 in multiple applications across some of the leading tech companies. She co-founded the Computer Vision team at Yelp and built out their data mining team. She was the lead product manager for home feed ranking at Pinterest (a recommender system) and worked on a diverse array of Search experiences at Google including founding the Google+ Search team, launching the first mobile book reader, and co-founding the Boston Search team. Frances loves user-facing big data applications and finding ways to make mountains of information useful and delightful to the user. Frances was a member of the founding class of Olin College and holds an MBA from Harvard. 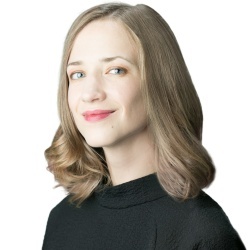 Chief Decision Scientist | Google, Inc.
As Chief Decision Scientist at Google Cloud, Cassie Kozyrkov advises leadership teams on decision process, AI strategy, and building data-driven organizations. She is the innovator behind bringing the practice of Decision Intelligence to Google, personally training over 15,000 Googlers. 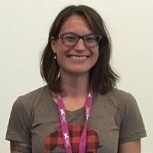 Prior to joining Google, Cassie worked as a data scientist and consultant. She holds degrees in mathematical statistics, economics, psychology, and neuroscience. 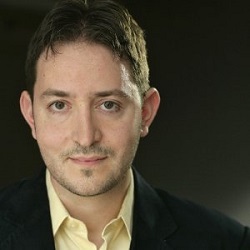 Dr. Joshua Bloom is VP of Data & Analytics at GE Digital where he serves as the technology and research lead bringing machine learning applications to market within the GE ecosystem. He was co-founder and CTO of Wise.io, which was acquired by GE Digital in 2016. Since 2005, Bloom has also been an astronomy professor at the University of California, Berkeley where he teaches astrophysics and Python for data science. 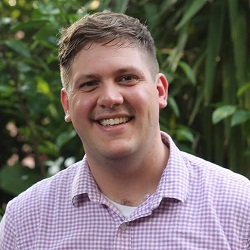 Josh has been awarded the Moore Foundation Data-Driven Investigator Prize and the Pierce Prize from the American Astronomical Society; he is a former Sloan Fellow, Junior Fellow at the Harvard Society, and Hertz Foundation Fellow; he holds a PhD from Caltech and degrees from Harvard and Cambridge University. Madhura Dudhgaonkar is responsible for leading Workday’s search, data science and machine learning engineering teams. Her teams have spent 4+ years building machine learning products used by Fortune 500 companies. Her experience ranges from being a hands-on engineer to leading large engineering organizations. Madhura’s career spans across SUN Microsystems, Adobe and now Workday. During her career she has been involved with building a variety of products – from developing Java Language to building a version 1.0 consumer product to building enterprise SaaS products. Madhura holds a master’s degree in math and computer science. She is a frequent speaker and leads diversity work via Women@Workday San Francisco Chapter. When not obsessing over technology, she can be found outdoors, running, hiking or snowboarding. Based on our experience providing technical mentorship for many semantic understanding projects, we are bring a workshop to ODSC on how you would go about building your own representations, both for image and text data, and efficiently do similarity search. By the end of this workshop, you should be able to build a quick semantic search model from scratch, no matter the size of your dataset. More details. 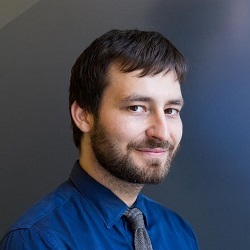 Andy Eschbacher is a spatial data scientist at CARTO, where he solves problems using convex optimization, machine learning, and statistics that often take advantage of the properties of location. He also builds tools such as cartoframes, a data science package for interacting with CARTO, analyses for CARTO’s infrastructure, and custom solutions for clients. Online marketplaces often have millions of products, and the product titles are typically intentionally made quite long for the purpose of being found by search engines. With voice shopping on the verge of taking off short versions (summaries) of product titles are desired to improve user experience with voice shopping. In this talk, we present a few different approaches to solve this problem using NLP and Deep Learning. We give a historical overview of the technology advancement in these approaches and compare the evaluation results on a real-world dataset ….more details. Joan Xiao is a Lead Machine Learning Scientist at Figure Eight, a human-in-the-loop machine learning and artificial intelligence company. In her role, she leads research innovation and applies novel technologies to a broad range of real word problems. Previously she led the data science team at H5, a leading data search and analytics service company in e-Discovery industry. Prior to that, she led a Big Data Analytics team at HP. Joan received her Ph.D in Mathematics and MS in Computer Science from University of Pennsylvania. pomegranate is a Python package for fast and flexible probabilistic modeling. The basic unit is the probability distribution, which can be combined into compositional models such as hidden Markov models, mixture models, and Bayesian networks. These more complicated models can themselves be used as components to models, such as building a mixture of Bayesian networks, or a Bayes classifier of hidden Markov models for the classification of sentences instead of fixed feature sets. This tutorial will give a high-level overview of the features of pomegranate, the design rationale, a brief comparison to other packages, and an application to practical examples….more details. Avneesh is currently a Research Scientist in the AI Lab at Airbnb, where he works on problems of Airbnb’s relevance in the machine learning and natural language processing domains. He has concentrated on leveraging the vast amounts of text data on the site to enable the next generation of data products within the company. Avneesh completed his PhD in natural language processing from Carnegie Mellon University in 2015 (where his thesis focused on building contextually richer models for translating human languages), and his undergraduate degree in electrical engineering from Stanford University in 2007. In a prior life (before grad school), he was a structured equity products trader at Goldman Sachs. – that some aspects of data-driven decision making are solved with technology and some with social and cultural changes. When you have thousands of model versions, each written in any mix of frameworks (R/Java/Ruby/SciKit/Caffe/Tensorflow on GPUs etc), how do you efficiently deploy them as elastic, scalable, secure APIs with 10ms of latency? We’ve built, deployed, and scaled thousands of algorithms and machine learning models, using every kind of framework. I’ll share some insights into the problems you’re likely to face, and how to approach solving them. In brief, we’ll examine the need for, and implementations of, a complete “Operating System for AI”: a general architecture for serverless machine learning….more details. Effectively serving large-scale machine learning systems to create business value is still somewhat of a dark art. Complexities such as train-serve skew, concept drift, latency requirements, champion/challenger replacement, hidden technical debt and more crop up that are not as apparent while crafting a single trained model. In this talk, I will share lessons from a data scientists’ perspective. In addition to general ML serving patterns, and alternatives, an attendee can learn concepts such as event time vs. processing time. This data movement can change how we estimate model prediction error. It’s imperative in this context to know how to reason about the data movement in the stateful streaming system the and how to consider the tradeoffs that surface….more details. This talk will cover the concrete ways in which data scientists can drive greater change in their organizations. We’ll work through a case study of increasing usage of mobile money among poor and rural populations in Tanzania. Mobile money can help provide income stability that lifts people out of poverty, and there is a wealth of data that everyone in the system needs to use to improve outcomes. We’ll look at concrete tools data scientists can use to engage their users and talk about industry trends in the AI “User Experience” that are transforming how data we think about data. Peter is a co-founder at DrivenData, who’s mission is to bring the power of data science to the social sector. DrivenData builds software that uses data and artificial intelligence for non-profits, NGOs, and governments. DrivenData also engages a global community of data scientists is online competitions that leverage data for the greater good. Recently he has worked on projects in lung cancer prediction, anti-human-trafficking, crop yield modeling, and digital financial services for rural populations. He earned his master’s in Computational Science and Engineering from Harvard. Previously he worked as a software engineer at Microsoft and earned a BA in philosophy from Yale University. Alexis Roos is director of data science and machine learning at salesforce where he is leading a team of data scientists and engineers delivering Intelligent services for Einstein platform. Alexis has over 20 years of engineering and management experience with the last 6 years focused on large scale (10s of TBs of data and billion records) data science & engineering including data analytics, entity resolution, distributed graph processing, machine learning, natural language processing and deep learning. Alexis started coding as a teen, became an avid 68000 programmer and pursued a MS in CS & Cognitive Sciences when AI was about expert systems and is constantly learning and experimenting about AI. For children who have behavioral health disorders, starting therapies early is key for their future quality of life. Early and accurate screening tools are vital. Ford Garberson develops machine learning algorithms to screen for childhood cognitive conditions such as autism at Cognoa. This development work ranges from analyses to identify and compensate for defects in data that will be used in machine learning to development and optimization of the algorithms to analyzing clinical study results to validate the performance of the algorithms in real life. 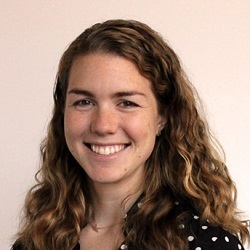 Jennifer Prendki is currently the VP of Machine Learning at Figure Eight, the essential human-in-the-loop AI platform for data science and machine learning teams. She has spent most of her career creating a data-driven culture wherever she went, succeeding in sometimes highly skeptical environments. She is particularly skilled at building and scaling high-performance Machine Learning teams, and is known for enjoying a good challenge. Trained as a particle physicist (she holds a PhD in Particle Physics from Sorbonne University), she likes to use her analytical mind not only when building complex models, but also as part of her leadership philosophy. She is pragmatic yet detail-oriented. Jennifer also takes great pleasure in addressing both technical and non-technical audiences at conferences and seminars, and is passionate about attracting more women to careers in STEM. This workshop explains how to practically bring the power of convolutional neural networks and deep learning to memory and power-constrained devices like smartphones. You will learn various strategies to circumvent obstacles and build mobile-friendly shallow CNN architectures that significantly reduce the memory footprint and therefore make them easier to store on a smartphone; The workshop also dives into how to use a family of model compression techniques to prune the network size for live image processing, enabling you to build a CNN version optimized for inference on mobile devices. Along the way, you will learn practical strategies to preprocess your data in a manner that makes the models more efficient in the real world. More details. Siddha Ganju is an Architect at Nvidia where she is working on the Self-Driving initiative and co-author of the upcoming book, ‘Practical Deep Learning for Cloud and Mobile’. She was previously at Deep Vision where she worked on developing and deploying deep learning models on resource constraint edge devices. She graduated from Carnegie Mellon University with a Master’s in Computational Data Science. Her prior work ranges from Visual Question Answering to Generative Adversarial Networks to gathering insights from CERN’s petabyte scale data and has been published at top tier conferences like CVPR and NIPS. She is a frequent speaker at AI conferences and is a NASA AI Advisor. Meher Kasam is a seasoned software developer at Square working on building engaging experiences on their iOS Point of Sale application.. He worked previously at Microsoft, where he shipped features used by tens of millions of users everyday, from Cortana to the award winning Bing app. He also has experience designing and building scalable cloud APIs serving millions of requests daily. He’s was the mobile lead for Seeing AI app, using computer vision and deep learning for blind users. With a flair for fast prototyping, he has won close to two dozen hackathons, and then turned them to ship features in several products. He is also co-author of the upcoming book, ‘Practical Deep Learning for Cloud and Mobile’. TedEx Speaker and Founder | DataSeer Inc.
Generative adversarial networks (GANs) are widely considered one of the most interesting developments in machine learning and AI in the last decade. In this wide-ranging talk, we’ll start by covering the fundamentals of how and why they work, reviewing basic neural network and deep learning terminology in the process; we’ll then cover the latest applications of GANs and examine the progress on improving GANs themselves, showing the tricks researchers have used to increase the realism of the images GANs generate. Seth loves teaching and learning cutting edge machine learning concepts, applying them to solve companies’ problems, and teaching others to do the same. 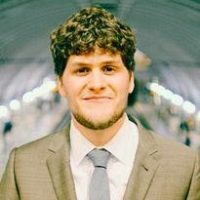 Seth discovered Data Science and machine learning while working in consulting in early 2014. After taking virtually every course Udacity and Coursera had to offer on Data Science, he joined Trunk Club as their first Data Scientist in December 2015. 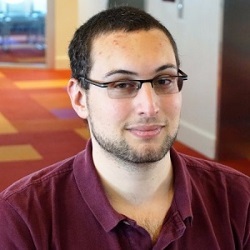 There, he worked on lead scoring, recommenders, and other projects, before joining Metis in April 2017 as a Senior Data Scientist, teaching the Chicago full time course. 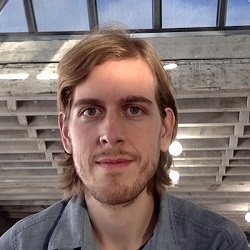 Over the past six months, he has developed a passion for neural nets and deep learning, working on writing a neural net library from scratch and sharing what he has learned with others via blog posts (on sethweidman.com), as well as speaking at Meetups and conferences. Joe Ross holds a PhD in mathematics from Columbia University and was a researcher and instructor in pure mathematics, most recently at the University of Southern California. He has worked as a data scientist at machine learning/analytics startups for several years; in his current role at SignalFx, he focuses on a variety of time series problems. Tuning models with lengthy training cycles, typically found in deep learning, can be extremely expensive and may even render tuning infeasible for a particular model. Even if tuning is feasible, it is often extremely expensive. Popular methods typically require several orders of magnitude the time and compute as other methods. But new methods related to task sampling in the tuning process create the chance for teams to dramatically lower the cost of tuning these models. This method referred to as multitask optimization, combines “strong anytime performance” from bandit-based methods with “strong eventual performance” of Bayesian optimization. During this talk, Patrick Hayes, Chief Technology Officer & Co-Founder of SigOpt, walks through a variety of methods for training models with lengthier training cycles before diving deep on this multitask optimization functionality….. Networks are a data structure commonly found in any social media service that allows populations to author collections of connections. The Social Media Research Foundation’s NodeXL project makes analysis of social media networks accessible to most users of the Excel spreadsheet application. With NodeXL, network charts become as easy to create as pie charts. Recent research created by applying the tool to a range of social media networks has already revealed the variations in network structures present in online social spaces. A review of the tool and images of Twitter, flickr, YouTube, Facebook and email networks will be presented …..more details. 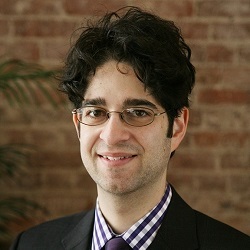 Marc Smith is a sociologist specializing in the social organization of online communities and computer mediated interaction. Smith leads the Connected Action consulting group and lives and works in Silicon Valley, California. 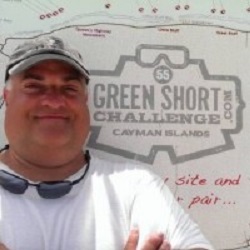 Smith co-founded and directs the Social Media Research Foundation (http://www.smrfoundation.org/), a non-profit devoted to tools, data, and scholarship related to social media research. Smith his Ph.D. in Sociology from UCLA in 2001. He is an adjunct lecturer at the College of Information Studies at the University of Maryland. Smith is also a Distinguished Visiting Scholar at the Media-X Program at Stanford University. Jeremy Gu is Senior Data Scientist on Experimentation Platform at Uber. Jeremy works on the production of the continuous experiments at Uber. Previously, Jeremy was an applied scientist at Amazon, working on automated advertising and Amazon Web Services (AWS) teams. Jeremy is Vice President of the San Francisco Bay Area Chapter of the American Statistical Association(ASA). Previously, he was chapter officer of ASA in Seattle for two years. He promotes the practice and profession of statistics in the bay area and organizes the events such as career development and seminars for local students and working professionals. 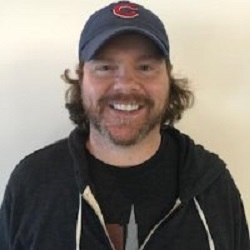 Conor Jensen is an experienced Data and Analytics executive who has spent over a decade working in the analytics space across multiple industries, as both a consumer and developer of analytics solutions. He currently works as a Customer Success Manager at Domino Data Lab, helping customers make the most of their Data Science platform and guiding them through building teams and processes to be successful. Previously he has successfully built out analytics functions at multiple insurance companies. This includes building out data and analytics platforms, Business Intelligence capabilities, and Predictive Analytics serving both internal and external customers. Organizations are struggling to wring as many insights as they can from the data they collect, and to utilize the limited artificial intelligence talent they have. Training AI systems using machine learning and deep learning can help serve larger business goals. Enter instructors, which serve as the middleman between supervised and unsupervised learning. Sasha Caskey first became familiar with instructors during his time at the Stanford Research Institute, In this session, Sasha will outline the many benefits of using AI instructors and continuous learning, including: the ability to train systems more quickly and efficiently; the ability to save time and resources by employing a responsible mix of supervised and unsupervised learning; how the technology can be employed without needing to scale other tools along with it. Attendees will leave with a firm understanding of how to employ the use of AI instructors…..more details. Sasha Caskey, CTO and Co-founder of Kasisto, the creators of KAI, the leading conversational AI platform for the finance industry. Sasha has over 15 years of experience inventing and transitioning breakthrough technology into applications and products, and has spent the entirety of his career continually teaching computers to better communicate with humans. At Kasisto, Sasha drives the architectural direction and software development of the company’s KAI platform – integrating its industry-agnostic, full stack AI technologies with prepackaged banking knowledge. Before founding Kasisto, he was a member of the IBM TJ Watson research team, The MITRE Corporation and Speechworks Intl. He has a B.A. from Brandeis University and M.A. from Columbia University. The advent of big data means that the time has come for change in the way in which we collect and use data on human beings. However, that change needs to be effected in a thoughtful, careful way so that we don’t jump out of the frying pan into the fire. There is enormous potential to use such data to improve decision making at all levels of government. The barriers are complex but at their core stem from (i) lack of local capacity to access and use data and (ii) lack of evidence of the value. Much can be gained when local stakeholders develop use-cases and create value from data sources specific to a jurisdiction. This talk discusses the combination of human and technical approaches critical to success. More details. Julia Lane is a Professor in the Wagner School of Public Policy at New York University. She is also a Provostial Fellow in Innovation Analytics and a Professor in the Center for Urban Science and Policy at NYU. Dr. Lane is an economist and has authored over 65 refereed articles and edited or authored seven books. She has been working with a number of national governments to document the results of their science investments. Her work has been featured in several publications including Science and Nature. Dr. Lane started at the National Science Foundation (as Senior Program Director of the Science of Science and Innovation Policy Program) to quantify the results of federal stimulus spending, which is the basis of the new Institute for Research on Innovation and Science at the University of Michigan. Dr. Lane has had leadership positions in a number of policy and data science initiatives at her other previous appointments, which include Senior Managing Economist at the American Institutes for Research; Senior Vice President and Director, Economics Department at NORC/University of Chicago; various consultancy roles at The World Bank; and Assistant, Associate and Full Professor at American University. Dr. Lane received her PhD in Economics and Master’s in Statistics from the University of Missouri.